The Court of Protection helps look after individuals who lack the capacity to make decisions for themselves by appointing Deputies on their behalf. The Office of the Public Guardian is very similar to the Court of Protection, but instead handles registration of powers of attorney and ongoing administration matters. If someone close to you loses the ability to make their own decisions, you can apply to the Court of Protection to make decisions on their behalf. Several forms would need to be filled in, alongside a doctor’s certificate confirming that the person cannot make decisions for themselves. The process can become time consuming and it is important that you have applied for permission to make all the decisions that you feel are necessary. 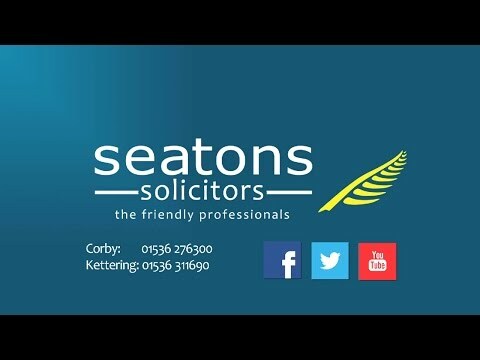 At Seatons, we can assist with your application to ensure there are no legal issues later on. When is a Deputy required? A Deputy is required when someone has lost mental capacity and has not made a Lasting Power of Attorney in advance. The Court of Protection makes the final decision on whether someone has lost capacity to make their own decisions. During the decision process, the Court will examine medical evidence completed by a medical practitioner, submitted by the person applying for Deputyship. The decisions have regard to the Mental Capacity Act 2005 Code of Practice. In theory, anyone over the age of 18 can be a Deputy. The Court of Protection will want to ensure that the person is suitable for such a role however and could examine their financial history and any criminal record if necessary. Typically, the Deputy will have a close connection with the person who lacks capacity, for example, a close friend or family member. Solicitors can also be appointed as Deputy however in situations where there is no suitable family member or friend to act. How long does it take to be appointed as a Deputy? It typically takes around 3-6 months to complete an application for Deputyship. What do I do if I have an expiring Deputyship Order? A new application will have to be made to the Court if you want to continue your duties. It is highly recommended that a new application is made to the Court of Protection before your current Deputyship Order expires so that you can continue to act for that person. Is it possible to make an application in an emergency? An application can be made in an emergency to the Court of Protection when the person who lacks capacity stands to lose a lot of money or could suffer harm if the application is not dealt with quickly. This process differs from the standard method of applying however and we can help advise on the best course of action to take if this is the case. To speak with one of our specialist advisors, give us a call on 01563 276300.